THE LEVANT – Iraq’s politicians are appealing to the international community to help battle Islamic State fighters as their dramatic push into the country’s north continues. The Islamic State (IS) jihadist group controls much of northwestern Iraq. Recently, IS militants managed to oust Pershmerga and Yezidi minorities, sparking an exodus said to be in the hundreds of thousands. The IS militants are hostile to Shiite Muslims, Kurds, Christians and other groups who don’t agree with their brand of Sunni Islam, but the Yezidi in particular are being targeted. Numbering about 700,000 worldwide the Yezidi are a sect that combines elements of Islam and Zoroastrianism, an ancient Persian religion dating back to at least 600 B.C. According to The International Business Times, there are around 500,000 Yezidi in Iraq, mainly in the north where IS have captured the towns of Zumar and Sinjar. Ethnically the Yezidi are Kurdish, and are considered fellow Kurds up north. Under Saddam Hussein’s rule many Yezidi villages were wiped out as troops moved in on Iraq’s Kurdistan region. There are smaller Yezidi populations in Germany, Syria, Russia, Armenia and Georgia. There are around 500 Yezidi living in the US, according to the Joshua Project. The push by the Islamic State in cities like Sinjar has forced tens of thousands of the Yezidi to rush into the surrounding mountains, or neighbouring cities in Iraq’s Kurdistan region. Zahran Jardo, who’s taken refuge in an abandoned building in the city of Dohuk, said those who’ve remain in Sinjar are surrounded by danger. 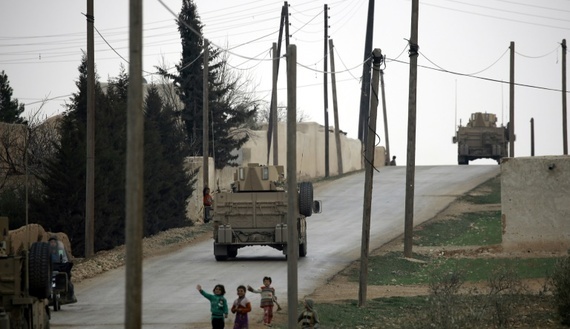 Children make up about half of Sinjar’s population. Will Parks, the UNICEF Chief Field Officer in Iraq’s Kurdish region, said about half of the 50,000 people believed to be stranded in the mountains near Sinjar are also children. Iraq’s Prime Minister Nouri al-Maliki has sent the air force into the country’s north. While that may help the Yezidi, it’s still trying to raise awareness about their suffering in Iraq. The country’s Yezidi leader Prince Tasheen Said has requested an “urgent distress call” to Iraqi and world leaders. Yezidi politician Vian Dakhil has echoed his calls, even breaking down in tears while addressing Iraq’s parliament.